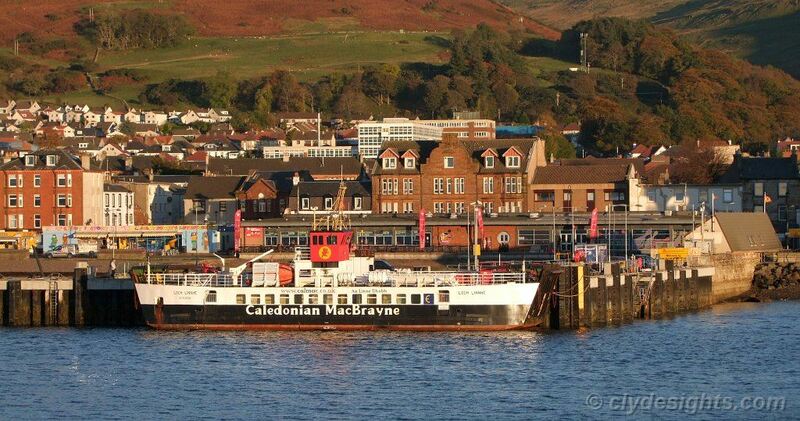 Seen lying at the rebuilt Largs Pier, CalMac's small 'Loch' class ferry LOCH LINNHE was no stranger to the area as she had been commissioned on the Cumbrae service in 1986. Since then, she has served elsewhere around the company's network, most recently having been employed on the Tobermory-Kilchoan route for several summers. 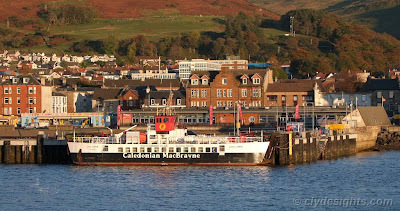 She returns to the Clyde each year to be given her annual survey by the Ardmaleish Boatbuilding Company on Bute, and had arrived the previous afternoon from Oban and Campbeltown, spending a night at each before heading to Largs.